It hardly seems possible but this month marks the halfway point in my Chairmanship. I have been very lucky to have held the role supported by such a wonderful membership who have enabled us to make progress in many areas. Firstly, attendance at the monthly meetings continues to be good so much so that we had a record attendance of 270 in February. The meetings have also seen us entertained by some excellent visiting guests and none more so than this month when Vince Eager pays us a welcome return. In terms of new members applying, we continue to see a steady stream coming along each month for their Introduction to the group. Several new groups have started over the year and existing groups are progressing well. We now have close to sixty groups and five hundred members in total. We have set up closer links with other local U3A’s, especially those in the North Nottinghamshire Area. The Social Committee have organised many excellent events over the year, while the Executive Committee work very hard on behalf of all members, be that with the Finances, Membership or any other areas of their work. I hope the next year continues to see the Hucknall U3A progress so that I can hand over an organisation to be proud of in twelve months’ time. As I write these notes in early March I am reflecting, firstly, on the amazing weather that we all enjoyed in February. During the February half-term, I spent an afternoon at Wollaton Park, where the car park was overflowing, ice creams were the order of the day, families were sat enjoying picnics in the sun while hundreds of children played away happily in the warm weather. The warmest February day since records began. It has also been a good month at the U3A, starting with an outstanding speaker and entertainer at the Monthly Meeting. The attendance was our highest for a very long time and more chairs and coffee cups were needed!! Thank you to all of you who renewed your U3A membership at the meeting and I hope that you enjoy the activities planned for the year ahead. All the groups are now back up and running while David Rose’s short courses are proving very popular. On the social side the Irish Night is now sold out. Enjoy your group activities during March. Our first film ‘Saturday Night and Sunday Morning’ was shown on Tuesday,26th February, 2019 to 28 silver screen enthusiasts. In some respects it has also become an interesting look at life in post war Britain with few cars, TV sets, houses with no bathrooms and smoking everywhere! 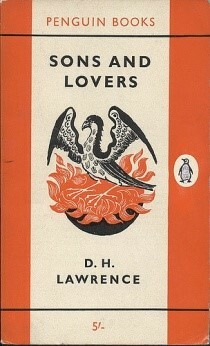 Tuesday 12th March, 2019, 10.00 am John Godber Centre from the book by D.H.Lawrence ‘Sons and Lovers’. All welcome £1.50 including tea and biscuits.